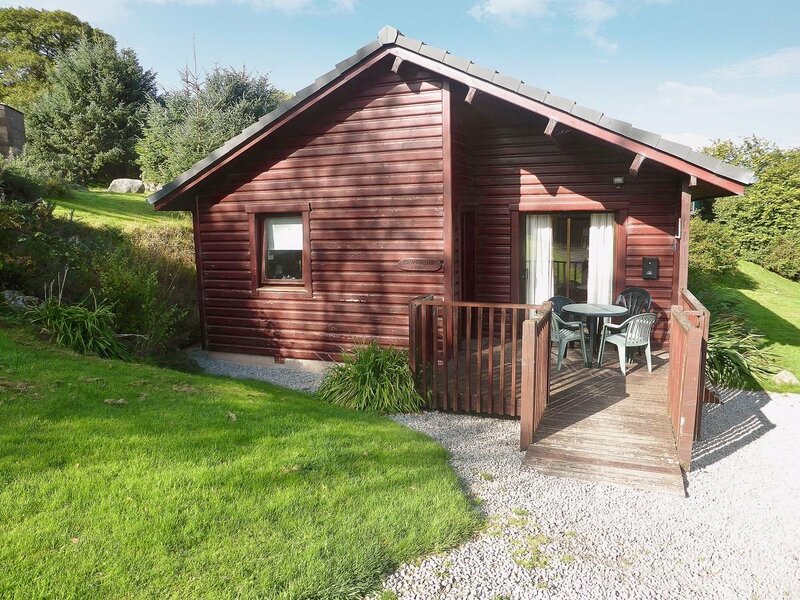 Open viewsBengairn is a delightful lodge situated in a small select group of 10 similar properties, with open views over Colvend Golf Course, the local hills and the Solway Firth, with the Lake District in the distance. It is beautifully presented, cosy and inviting. The scenery is stunning, so why not take advantage of this from your very own balcony. You will probably be disturbed only by a glimpse of the odd badger, deer or red squirrel! If you are feeling a little more energetic then stroll through the golf course to the beautiful Sandyhills Beach which is under 1 mile away. Your dogs are very welcome to this lovely lodge and we are certain they too will enjoy the walk to the beach! Bengairn is easily accessible to everything this lovely corner of Dumfries and Galloway has to offer from the picturesque little villages of Sandyhills, Kippford and Rockcliffe, where you can discover some of the 200 miles of stunning and dramatic coastline with secluded little bays and sandy beaches. Visit the many historical sites in the area such as Threave Castle, described as the most romantic place in Galloway, and to reach it, ring the bell at the jetty and the custodian ferries you by rowing boat over to the island! This area is also home to supreme mountain-biking, challenging hill walks and without doubt some of the darkest skies in the world. Visit the local towns of Dalbeattie, Castle Douglas and Kirkcudbright with their variety of niche shops, art galleries and excellent restaurants. Castle Douglas, the ‘Food Town’, has around fifty local businesses either selling or producing food. A visit to Kirkcudbright during their summer festivities is not to be missed with events such as the colourful Jazz Festival, the Riding of the Marches and the spectacular Tattoo. So whether it’s a relaxing holiday you are after, or something just a little more energetic, we have something for everyone. Shop 2 miles, pub and restaurant 1 mile.All on ground floor: Living/dining room/kitchen with wooden floor and patio doors. Utility room. 3 bedrooms: 1 double, 2 twin. Bathroom with shower over bath and toilet. Separate toilet.Oil CH, elec and bed linen inc. T/cot. H/chair. Stereo/CD. Elec cooker. M/wave. W/machine. T/dryer. Freezer. Wi-Fi. Lawned garden with furniture. Parking (3 cars). No smoking. Be the first one to tell us about your rental experience while staying at Bengairn. Let us know if the listing matched your expectations. You can share your comments about the location, property owner/manager and all the unique features that made your stay a memorable one.